I go pumpkin crazy every fall. I can’t help myself. There are so many fantastic pumpkin recipes to fit in. My new favorite pumpkin cookies are Pumpkin Oatmeal Scotchies. These pumpkin cookies are moist, loaded with spices, oats, and butterscotch chips. 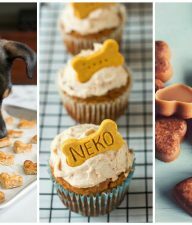 If you haven’t experienced pumpkin and butterscotch together-you are in for a real treat. They are a match made in heaven! These pumpkin oatmeal scotchies are the perfect fall cookie. Make a batch today! 1. Preheat oven to 375 degrees F. Line two baking sheets with parchment paper or a silicone baking mat and set aside. 2. Whisk flour, baking soda, pumpkin spice, cinnamon, nutmeg, and salt in a small bowl. Set aside. 3. Beat butter, sugar and brown sugar until smooth and creamy. Add egg and vanilla extract. Next, add in pumpkin and mix until combined. 4. Slowly add in flour mixture. Stir in oats and butterscotch chips. 5. Drop dough by the tablespoon onto prepared baking sheets. Bake for 10 to 12 minutes or until the cookies are set and golden. Remove cookies from the oven and cool on the baking sheet for 2 minutes. Transfer to a wire rack and cool completely. Maria is a regular contributor to Make and Takes Food. Maria and her husband, Josh, are Two Peas and Their Pod. They are known as the “cooking couple” and are a great team in the kitchen. They love trying new recipes, flavors, and techniques and sharing their creations with the world. They try to keep things healthy, but they always save room for dessert. Why do you feature a nice recipe and if the unsuspecting person prints it you get ten pages of wasted ink and paper? Hi! How are you? Let me introduce myself. My name is Nicole and I live in Roslyn, NY with my husband and two young kids. 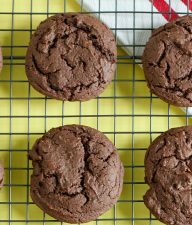 I just recently launched a recipe blog called http://www.nibblesbynic.com. In a nutshell I have created a fun spin on recipes for the everyday mom. My goal is not to over-complicate the food, but to simplify it in a homemade, yet youthful fashion using seasonal tasty ingredients. Most importantly, my mantra is to cook in healthful way (incorporating the occasional treat of course :-) without EVER sacrificing taste and enjoying every last nibble!! I would love to create a buzz for my blog so I can build up more traffic. Thank you so much and I look forward to the possibility of building a relationship. Just what I’ve been looking for. 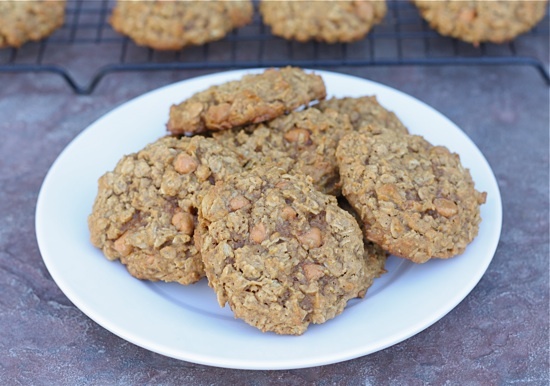 I love oatmeal cookies, and this recipe sounds delicious. I might skip the butterscotch chips to keep them healthier, but then again… :) It’s pumpkin season here and I’m going to give this recipe a try. Oh. My. Gosh!! These looks amazing! I love pumpkin! I bookmarked these long ago and finally made them today (I needed to use up some of my canned pumpkin hoard) – delicious! I used half butterscotch chips, half cinnamon chips because that’s what I had on hand. Loved the flavor combination! I just made these this morning. I didnt’ have pumpkin, so I used sweet potatoes instead. They taste really good!— but I am still curious what the pumpkin would taste like. 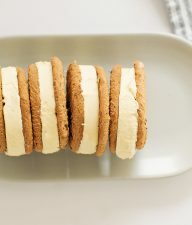 These are now on my list to make this weekend! WOW – yummy! The farm crew gave this cookie a “thumbs up”! 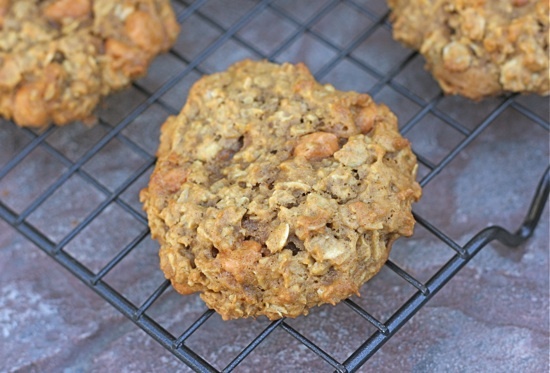 I make these, too, but I cheat by just adding pumpkin and butterscotch chips to oatmeal cookie mix! 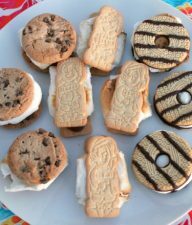 I just made these tonight with my teenagers and they were a hit! They are so incredible tasting!!! Wow! I shared my picture of them with my new FB page! Check it out at http://www.facebook.com/WendysHat This week is Pumpkin Palooza at my house! Thanks. Maria! These look awesome. I’m a huge fan of pumpkin too, so adding it to oatmeal sounds delicious! Thanks! I made these last night and my oh my are they tasty! I cut down on the sugars just a tad since butterscotch chips are super sweet for me. They are moist and delicious little things! I made those last year as well. Oatmeal schotchies are my favorite cookies and putting a pumpkin twist on them was so good. Butterscotch and pumpkin cookies? Ohhh, my. I’ll take all 2-1/2 dozen! Yum! I always go the cinnamon-nutmeg-ginger route with pumpkin, and this is such a delicious-sounding change of pace. OH no! 3 of my favs all combined in 1 cookie!!!! you’ve made my day!! !